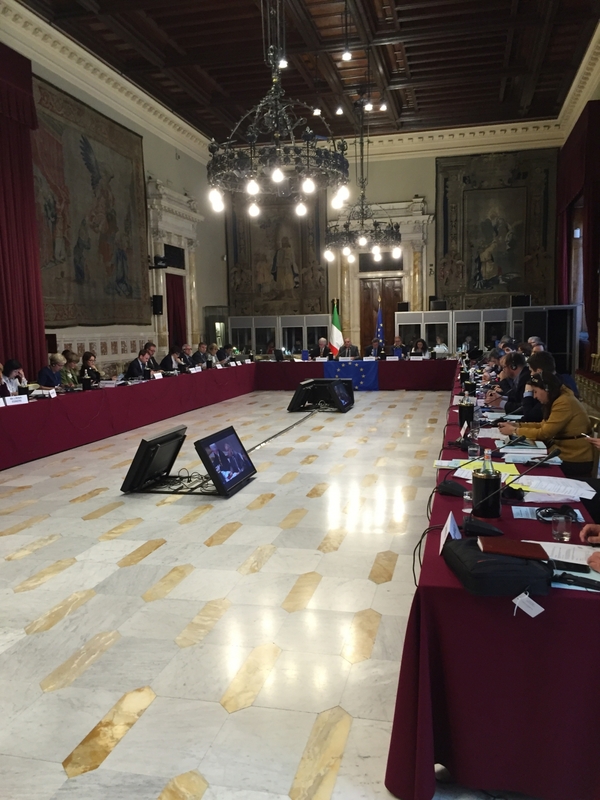 The Parliamentary Assembly of the Council of Europe's (PACE) Committee on Legal Affairs and Human Rights, held a hearing in Rome on 18 May 2016, dedicated to the topic of the misuse of Interpol by non-democratic states and the need for more stringent legal safeguards. The event was a second consultative hearing organised by the Committee on this topic, with the participation of representatives of NGOs, expert organisations and the Interpol. For the second time, the Open Dialog Foundation was invited to contribute to the exchange of views and to present its recommendations for the reform of Interpol, aimed at providing greater safeguards from human rights abuses within the Interpol system. As the work of the committee proceeds, it was a good opportunity to provide an update on the recent changes that Interpol has started implementing and to draw the rapporteur's attention to certain key aspects, which the Open Dialog Foundation believes should be addressed in the PACE report. Anna Koj, the Head of the Open Dialog Foundation's EU Office, who attended the event on behalf of the organisation, focused on key aspects of the the effectiveness of INTERPOL’s review of requests for red notices before publication, while Libby McVeigh from Fair Trials International addressed the issue of adequacy of the redress mechanisms provided by the Commission for the Control of Interpol's Files (CCF). Bill Browder from the Hermitage Capital discussed the recent developments in the Magnitsky campaign he is leading internationally as well as the resulting problems he personally has had over the year with attempts (so far unsuccessful) made by the Russian Federation to place him on the Interpol Red Notice. The Interpol was represented by Yaron Gottlieb, Assistant-Director from the Office of Legal Affairs of Interpol. First steps have been taken towards the reform of the Interpol mechanisms and we are happy to see some of our recommendations taken into account in the process. Two examples of such first positive measures are the refugee policyand the mechanism, which suspends the publications and/or the visibility of the Red Notice in the Interpol database pending the final outcome of the quality verification procedure. That said, it is clear that a lot of work remains to be done to ensure that these positive initiatives become fully functional and viable in the long run and can actually bring about concrete systemic change. In order to achieve it, they should go hand in hand with increased cooperation with both the Interpol Member States, as well as with international organisations and bodies, such as the UNHCR office. Lack of appropriate and inclusive response and action plan would result in a loss of credibility that would, first and foremost, be harmful to Interpol itself. Furthermore, we believe Interpol should create institutional conditions for closer cooperation between Commission for the Control of Interpol’s Files and independent experts that have a strong background in human rights as well as asylum and extradition law. Such experts would be able to provide a more in-depth insight into specificities of the politically motivated persecutions and ensure high-level scrutiny during the evaluation procedures. It is advised to develop a more individual approach to the evaluation of requests from Member States, for example by instituting a “rating” of Interpol Member States with regards to both: the opinions of international independent bodies and organisations as to the level of respect for human rights in the country, and the number of requests that a given Member has presented over time and that have been found in breach of the Interpol constitution and/or its internal rules and regulations. A call supported also by Bill Browder, who advocated in his speech for two-tier system of Interpol Members, based on the level of their respect for Interpol's constitution and regulations. It is natural that some actions undertaken by Interpol must by nature be covered by secrecy. Interpol should, however, be transparent at least about the number of requests that are being rejected on political grounds and the countries of origin of these requests. Further concrete proposals for reforms are being currently under discussion within Interpol, including based on the recommendations stemming from the work of the Interpol Working Group on the Processing of Information for the implementation of a comprehensive review of Interpol's supervisory mechanisms in the area of data processing (GTI), to which the Open Dialog Foundation has also contributed with a detailed submission last year. These reform proposals are to be discussed later this year at the Interpol General Assembly in Bali. The Open Dialog Foundation has been following closely the developments of the reform debate within Interpol, as well as the process of the PACE report drafting. We acknowledge that Interpol has, indeed, partly thanks to the increased general debate on the need for stronger safeguards for human rights within the organisation’s structures and processes, become more open and has expressed its willingness for a constructive dialogue with representatives of civil society. We will work closely on providing additional comments and recommendations to the interested parties, based on our extensive experience in assisting individuals persecuted by non-democratic states through misuse of Interpol. You can download Anna Koj's full speech with all recommendations, HERE.